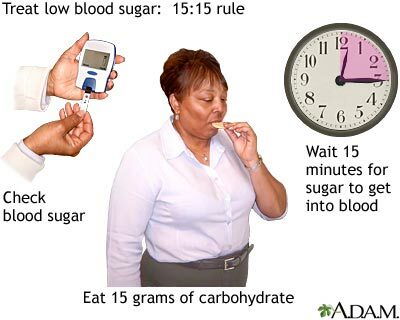 After the carbohydrate is eaten, the person should wait about 15 minutes for the sugar to get into their blood. If the person does not feel better within 15 minutes more carbohydrate can be consumed. Their blood sugar should be checked to make sure it has come within a safe range.